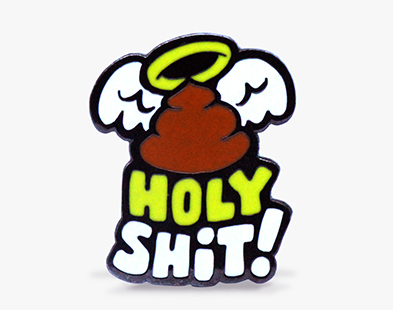 This wonderful hard enamel pin is an original design by Melbourne artist Mark Sheard. 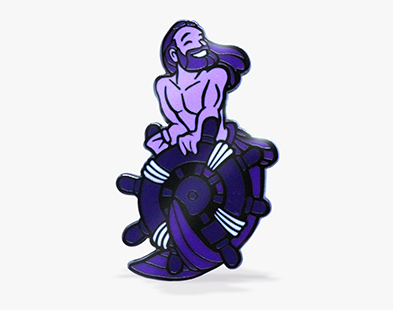 The pin is 40mm high and encased in Black Nickel. 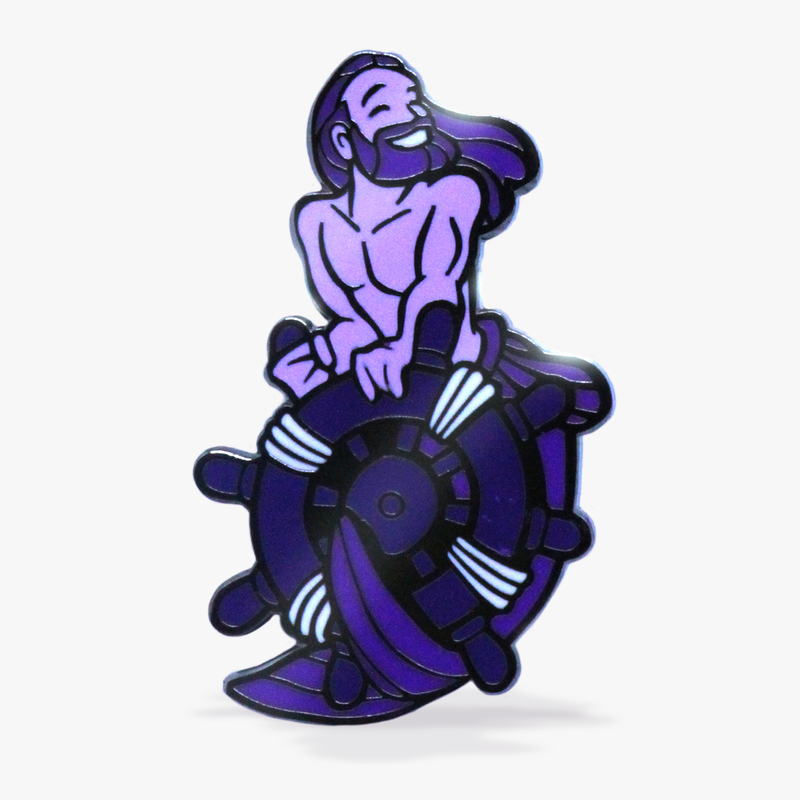 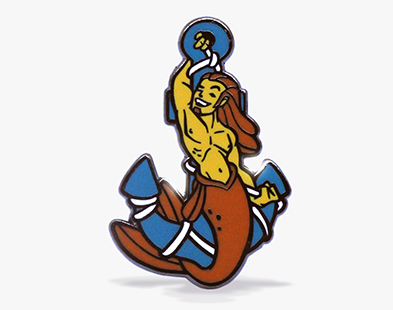 It features a gorgeously rendered image of a hunky merman leaning on a ship’s helm.